Stacy joined Sagemark Consulting to focus on integrating clients’ personal and financial well-being into a cohesive, straightforward financial plan. She provides clients with clarity and solutions to help meet their needs by providing creative, personalized plans and strategies to enhance their situations, protect their families, and secure their legacies. Stacy enjoys bringing a unique perspective by helping clients establish harmony among the important facets of family and business. She does this by understanding the unique problems and opportunities clients may face by utilizing the knowledge and experience gained from her many years of being in the financial industry. Her work supplements and coordinates the efforts of her client’s other advisors to ensure that they are on track toward meeting their objectives. Stacy actively works with those existing relationships to put together a comprehensive plan tailored to each individual client she meets with. Those clients include a select group of professionals, executives, business owners and retirees. Through Sagemark Consulting, a division of Lincoln Financial Advisors, she has access to a network of nationally recognized professionals. This relationship provides her clients with the support of a prominent financial services company and access to its wealth of intellectual capital in the form of experience, expertise, and technical knowledge. She takes complex problems and delivers simple solutions by providing cross-disciplinary advice, precise execution and quality personal service. 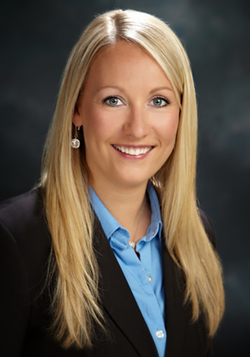 Stacy grew up in Marquette, MI and relocated to Traverse City, MI after graduating from Central Michigan University. She enjoys spending time outdoors, traveling, hiking, practicing yoga and spending time with family and friends.